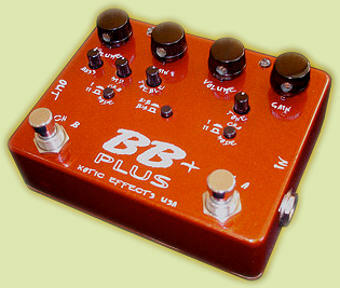 Analog Man carries the Xotic BB Plus. Xotic Effeects BB Plus is fashioned with Xotic's widely acclaimed circuitry and very versatile preamp, both channels offer shimmering smooth tone with tons of sustain. Unlimited configuration of superb tone.